Unless the first thing you do after extricating an iPod from its packaging is to seal it off in a completely protective case and vow never to remove it, chances are pretty good that you’re going to end up with some scratches on your music player. 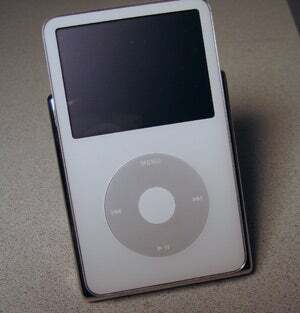 A few nicks on the shiny back or even the polycarbonate front aren’t so bad, but when the screen gets dinged up, it can negatively impact your iPod-using experience—especially if you happen to own a video-capable model. Many companies—such as iCleaner, iKlear, and DLO —sell kits that help you remove some of the blemishes from an iPod, but those all require a significant amount of elbow grease. How about a service that promises to take care of all the work for you? In the “Clean and Protect Your iPod” article from the January 2007 issue of Macworld , we mentioned a company called ColorEnvy that will fix up the scratches on the screen of 3G, 4G, Photo, mini, Video, and nano iPod models for $20 plus a $10 shipping fee. (ColorEnvy only repairs the iPod’s screen). We sent a fairly typical fifth-generation iPod in for repairs and recently got it back. 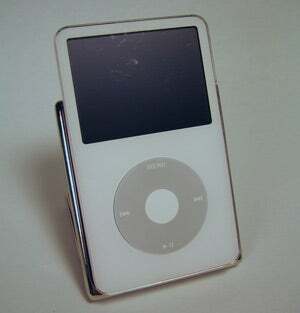 The bad news: It took more than a month to get our iPod back. Shortly after I mailed our test iPod to ColorEnvy, the small company was befallen by several operational setbacks, so much so that ColorEnvy is currently out of business. But someone from the company told me that she hopes ColorEnvy will be fully up and running again in January. Currently, the Web site just shows a directory structure and doesn’t have any information about the state of the company. I hope ColorEnvy updates its site to keep potential customers informed, and I hope to see it back in business soon.